While those are the official rules for this contest, here are some guidelines not quite as strict as the above list. Don't make your image focus on only one character. There's more than one member of HH after all. If you include an FC, make sure you are accurate about the FC's appearance. Feel free to contact the holder of a character for a picture or description if you need one. Most people are happy to oblige. If you can, try to leave a little space in your entry for the words "Hedgehog's Haven" to be added. However you don't HAVE to do this. Don't criticize other people's work. Be a good sport. Even if it looks ugly to you, keep it to yourself. Do NOT try and convince the admins who to vote for as the final overall winner. Failure to follow the first official rule listed in bold will be disqualified. The admins will get together in private and review the entries and pick the best one to become the new banner for the site. Shad will finalize it's creation working with the original artist if he or she so desires. In the events that we the admins cannot reach a final conclusive winner, we will choose the top ones and put it to a forum vote. Entries may be submitted starting from the time of this post until 1 am Eastern Standard time on Wednesday April 28th. Well imposing a time limit for entries failed spectacularly, so in attempt to revive this, I would like to make the cutoff deadline for entries based on the number of entries recieved, within reason. Just because there's no longer an official time deadline doesn't mean it's a good idea to take two years to finish your entry. I would LIKE to say the contest will be closed to entries when we get 10, but based on the site's member activity, that's about as likely as winning the lottery jackpot..... So the limit will be 4 entries. Now, I'm not saying there can ONLY be 4 entries total. If this turns out to have much more entries than I have predicted, we will gladly let them in (within reason of course, if we suddenly get 15 people trying to enter several months or so after the contest is over, it probably won't happen). tl;dr: The admins will be the judges of the entries, and the entry cutoff point is now based on number of entries rather than time. Unless the contest proves to generate more activity than expected, I will probably close the contest after 4 entries are confirmed but please don't take until the 20th of Never to submit your entry.. Please submit your entry in the following format by copying the form below and adding the appropriate information. For the contact info, you can put an instant messenger or your email, or PM it to me if you don't want that to be public knowledge. I ask for it because sometimes members visit and then stay absent for a prolonged period of time. The summary is optional and I ask that you keep it short. Don't come up with a backstory for your picture, just point out what's what if your drawing is a bit confusing. I'll be honest, Miles, I didn't think you'd make another XL banner. I need your software, because I had something like that in my head, but I couldn't do ANYTHING to mine in Photoshop. You take the gold, man. The admins will get together in private and review the entries and pick the best one to become the new banner for the site. Shad will finalize it's creation working with the original artist if he or she so desires. In the events that we the admins cannot reach a final conclusive winner, we will choose the top ones and put it to a forum vote. Entries may be submitted starting from the time of this post until 1 am Eastern Standard time on Wednesday April 28th. Even if it's only supplying the text, Shad wants the chance to contribute to the new site banner. So, wait, who's entry is eliminated? Since you overlooked it, I'll let you resubmit one entry if you so choose provided you get it in before the deadline. Look's like it's back to the drawing board! Literally! Location : Somewhere, yet nowhere! I AM IN THE MIND BENDING DIMENSIOOON!.....and stuff. Humor : Uhh...one day Bob walked down a lane. he got eaten.....by a CHICKEN! 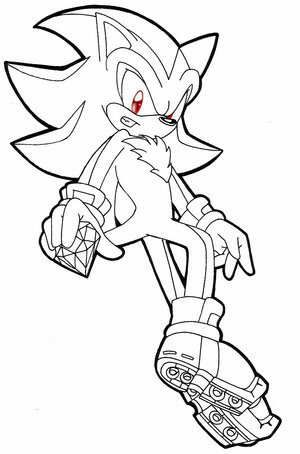 Favorite Game : Sonic Rush Adventure, Sonic Rush, Sonic Advance 3, Sonic Adventure series, Sonic 3, etc. Wow, I come back to this while waiting for my next college class, and....what was intended to instill life to the site has become withered dust. Well I'll do my best to give this thing CPR. Let me start by stating the exact original plan. Shad wanted to draw a new banner for HH, but he was fresh out of ideas of what to draw. So we ended up with the plan that the members of HH would provide the line art for the new banner, and he could color/stylize it further and the final product would be a sort of collaboration picture. ((AKA more than one person contributes significantly to the final product.)) If you wish to see examples of his work, you can find it here. Four of the examples there had lineart provided by others (myself, Des, and Nova). The next issue I intend to correct is presented by the one entry we DID get. It seems that a fair few people are sure of what exactly is a lineart. It's quite simple really. A lineart is a picture that's all black and white. No color, no shading, no texture, just the paper and the black (or pencil/pen/etc.) lines of the drawing. Here is an example of lineart (although this one's got colored eyes, but you get the idea) taken off photobucket. Now that the issue of what qualifies as lineart is taken care of, I'll move on to the next issue. I'm addressing these issues based on the one attempted entry this little contest has had so far, so if others have entries that they just forgot to submit and these addressed issues concern only a minority of entries, I apologize. It seems as if most people who want to enter just slap someone else's pre-made art or official SEGA art of characters onto a white background and call it their entry. While this can sometimes achieve a nice effect, I believe our members to be capable of so much more in terms of creativity. Don't settle for average level art, set your sights higher! Instead of the typical grinning Sonic giving the camera a thumbs up, draw him in your own unique pose. Maybe running in terror from a lovestruck Amy (or hammer-wielding Amy) or launching a flying kick at one of Eggman's machines. Make it something unique, cool, and different from all those stock images floating around the internet. Same goes for any and all other characters you put in your picture. Be creative. This is ART after all. If drawing all the characters you want seems too much for you, then find a friend who likes to draw, and both of you can draw certain characters, so neither of you has to draw it ALL all by themselves. Here's another, more minor detail to give you contestants something less to worry about. Don't bother putting the site's name on your banner entry. All special effects and text additions will be added by Shad as the final touches before uploading the banner. 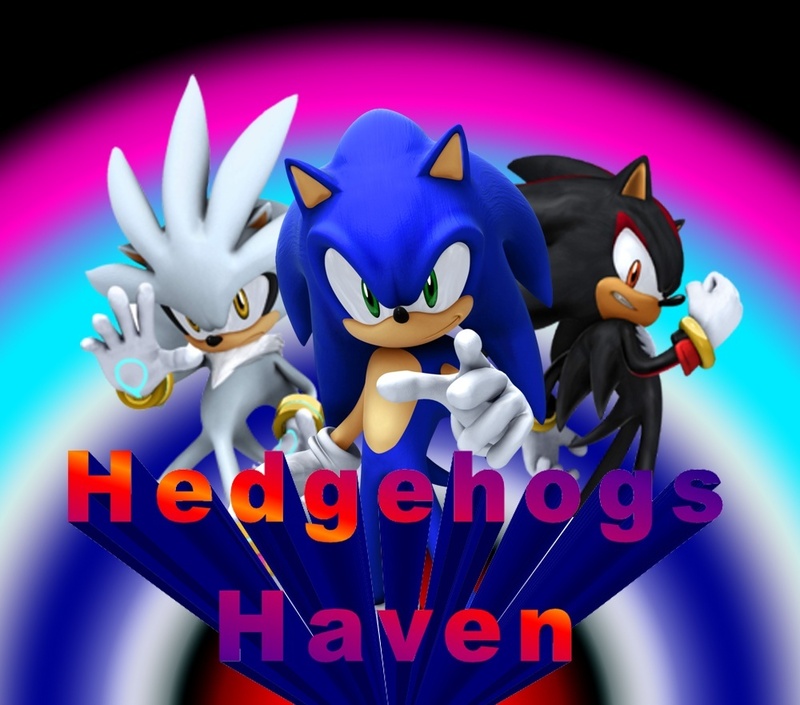 You can leave a little space for the text if you wish, but you don't have to put the words "Hedgehog's Haven" on your picture and then cram your drawing around it. And heck, if it's easier, your entry can be as large as you wish, and you can just let Shad shrink it down to the proper size when he adds those final touches. Last but not least, good art takes time. Sometimes a person can have the most awesome idea for a drawing but real life intrudes, leaving next to no time to actually get that drawing out on paper. Because of this often-true fact, I've decided we will wave the contest deadlines in terms of time, and instead leave it open until we have obtained a certain number of banner entries. I will modify the deadline in the above posts as needed, so be sure to read and find out. Have fun drawing, I look forward to hopefully getting this contest back on track. You know, I could get someone to probably draw a banner for us. Never entered because I thought we needed to draw the who shazam ._. Perhaps we should pause this until we settle matters over in the poll about whether HH should do changing banners year round. Then we can have different banner categories such as spring banners, winter banners, christmas banners, etc. Old entry is indeed old. I plan on editing it, after looking at it now, it looks like utter crap.